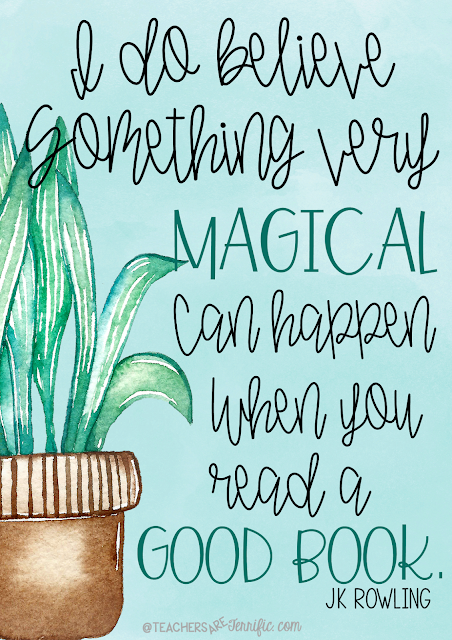 Book Reviews - Books with Magic in Them! Oh, my goodness. What a fabulous month of books- magical indeed. I know you totally get what I am saying - if you are a reader. It's the book that keeps you awake, makes you think about the story, and read way past time to stop. The five reviews in this post definitely made me read and read and read. Three are brand new for me this month, one is a children's book I have read so many times, and one is my favorite book of all time. I have read it and read it and listened to it, and I re-read it this month. Enjoy! The first three are the new reads, the 4th is the most amazing book ever for kids, and the last is THE ONE! If you read nothing else this month, you have to try it. This book had great reviews and I decided to give it a try. About 50 pages in I began to wonder. Hmmmm...but the reviews said it would start off slow and then BAM it would get better! That is exactly what happened. So, just know that as you start reading. It is going to take a few chapters before you get to the story that will become a page-turner. This is about Lucy, a young graphic designer whose fiance was killed. She meets Greg, an author with two young children. His wife died in childbirth and he is raising the children with the help of a live-in nanny, Hilary. Greg and Lucy fall for one another and just as you begin to think you cannot keep reading, Greg will start to behave oddly. Then it gets even more odd and perplexing. What is going on with Greg? Lucy suspects drugs and after Greg takes them on a precarious and dangerous drive through the mountains, the truth comes out. I will leave you hanging right there. Trust me, you will keep reading at this point and it is quite a compelling story. The only thing I really wasn't happy about is all the conversation. I really prefer details and not a lot of people talking constantly. Otherwise, it is a great book and I would give it 5 stars! This one is definitely a chick book- with some twists and turns, and for me, it was a great read. Jacqueline, called Jacks, is married to James. Their relationship is puzzling and has settled into a routine and not a lot of happiness. She is still very shocked to learn that he has been found far from her home, with another woman named Dylan, and has had an accident. He and the woman are both dead. Shortly after that, the woman's fiance shows up at Jacks' home and suggests that the two of them travel to the site of the accident to find closure. Jacks agrees to travel with him despite her sister's protests that all is not as it seems with this man (Nick). I will stop with the details right there and let you discover what happens between all four of these characters. The chapters alternate between telling Dylan's story and Jacks' story. I think the twists that occur will surprise you! I would give this one 5 stars because it kept me reading intently to find out what was going to happen next! The author discovers as a teenager that her grandfather Eddy was a Holocaust survivor. The book tells the story of the family in a haunting, mesmerizing account of each member of this large family. I can't tell you how many times I held my breath as I turned the page to see what was about to happen. The Kurc family are Jewish, living in Radom, Poland. As World War II begins their lives are shattered as they are split apart and brothers, sisters, and mom and dad end up transported to many places. One brother is living in France at the time and cannot communicate with the family at all. Other brothers are taken to Russia or to cities in Poland where they must work grueling hours with very little to eat. One baby awakens each morning with his eyelids frozen shut due to extreme cold. Family members are hidden behind secret walls whenever a raid occurs. Four-year-old Felicia learns to run and hide and be quiet and still to keep from being found. "There will always be reminders of their deaths. There will be days that are not so bad, and others that are unbearable. What matters, she tells herself, is that even on the hardest days, when the grief is so heavy she can barely breathe, she must carry on. She must get up, get dressed, and go to work. She will take each day as it comes. She will keep moving." I will leave the description right here. This is a must-read. It is well written with details of atrocities we cannot imagine happening. But they did. There is a reason for the title of this book and you will cry when you are reading it. I sure did. My all-time favorite read aloud chapter book for kids. I read this to my third graders every single year. And I cried in parts of it- every single year. If you have not read this book- go grab it right now! This is the story of a young boy nicknamed Crash. When he is about 6 years old he meets a new neighbor, named Penn Webb. Crash, characteristically, makes fun of Penn every chance he gets, especially when he discovers Penn's parents are older, he lives in a very small house and has one toy. Penn is also a Quaker. Which means he doesn't play rough, fight, name call, talk back, etc. This is quite foreign to Crash. Flash forward a few years and the boys are now in middle school. Crash has a new friend, named Mike, and the two set about to totally demean and bully Penn whenever they can. Like pouring mustard in his shoes or tearing up Penn's homework. I will tell you that the reactions of my third graders whenever we read those parts about the bullying were always amazing to see. It made them really understand bullying in a different way. They loved Penn and did not like the way he was treated. The story then moves into the Penn relays. The setting for this story is Pennsylvania and the school system takes part in a relay team event every year. The kids have to try out to make the team. Crash, of course, is an athlete and plans to try out. So does Penn. Think about it- his name is Penn. It turns out that his great-grandfather once ran the same relays and Penn wants to run and be part of the winning team. The final tryout comes down to a race off between Crash and Penn. Who will win? I am not telling you, but I will say that this is one of the points in this book that always made me cry. What happens is an astounding moment and one I whispered as I read it to my students. It's a fabulous book that all kids love. Boys love because it's about football. But it's more than that. It's also about a family and the things that go on as kids grow up. It is a great story to teach about bullying and friendship and how to treat people. Love it!! 5 stars for sure! I cannot even tell you how many times I have read this book. More than any other book- even my childhood favorite Toby Tyler. Outlander is the story of Claire who is vacationing with her husband in Scotland in 1945. They explore a remote countryside and find a hillside with standing stones. The next day Claire decides to go back to the stones to find a special flower she saw there. While there she explores a little more and then hears noises, apparently coming from one of the stones. Puzzled, she approaches the stone and places her hands on it. Moments later she awakens, dazed, and quickly discovers she has been transported back in time- to 1743 Scotland to be exact. Soon after this, Claire meets Jamie Fraser and the book takes off as these two form a magical bond. Magical month of reading, indeed! Thanks for posting what books you read. Love getting good reviews! Haha! Outlander is a book I have read and reread and listened to so many times- and all the sequels! I hope you watch the series on TV, too! Thanks for visiting! Plop! Plop! Fizz, Fizz in the Lab!